A lot of us think we’re terrible at sales, but marketing consultants disagree. They point out that we ‘sell’ things every day. We persuade our partners to buy us things on special occasions or cajole our toddlers into eating. Still, whenever we hear the benefits of a product in a commercial setting, we get suspicious. We can’t distinguish genuine features from sales pitches. 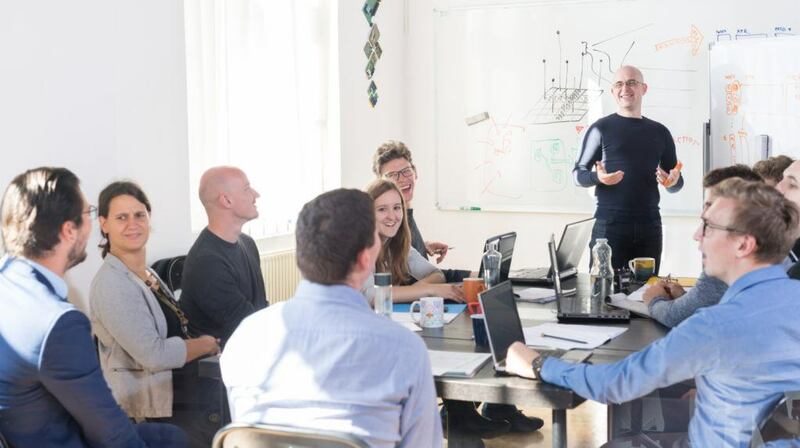 Should you put new hires on training devices or gather them in a room for their onboarding workshop? Are online new hire solutions really the best bet for your bottom line? According to past experience, employee onboarding software works better, and here’s why. Getting into the flow of your new workplace can take forever. It’s not a period you can put a number on, and it has no fixed duration. That said, the average orientation program takes a week or two. If it’s a crash online course, it might take two to three days. This is all time that could have been spent working, both by corporate learners and trainers. If you bring in an external trainer, there’s additional expense involved. You have to cover their food and board throughout the online training course, and possibly their transport to the venue. Plus, because they’re an outsourced contractor, they may not understand the finer points of your organization’s culture. One of the most significant online onboarding benefits is that it saves time, deals with the customization issue, and cuts costs of new hire solutions too. New hires have the ability to access the employee onboarding software anytime it’s most convenient. Instead of sitting in a workshop or presentation for the first week of their employment. Do you remember your first day at work? It doesn’t matter whether you were a high-schooler at a summer internship or a newly ‘poached’ CEO. On that first day, we all feel a little lost, even though some of us hide it better. You don’t yet have a task-list, so you’re mostly sitting around waiting for something to happen. You don’t know if you should ask for work and be labeled as ‘unable to self-direct’. Or wait for guidance and be branded as ‘lacking initiative’. And everyone is so busy with their own work they seem to have forgotten you. Asking for help can seem like being a bother, and you don’t want to appear needy. When new hire solutions grant access to onboarding software this gives the new employee something tangible to do. They feel valued and constructive. Plus, the online training course will teach them many of the things they might be too embarrassed to ask. Like where, and whether, they can take their coffee break or how to perform a basic task they should already be familiar with. New hire solutions software can be a useful, low-pressure way to figure out what your team is good at. You can program assessment modules which will spot their unique abilities. That can help assign them to the relevant department, and/or design their career progression path. At the same time making them feel at home and valued works for your organization. In that first week, while they’re still fresh and eager, you can make a lasting impression. They’ll share it with their friends, which may encourage those within their circles to apply. It gives you access to a broader swathe of skilled personnel. Software-based training is also far more efficient than any type of in-person training. Its benefits cut across time, money, and formatting. Even a teacher who has spent their entire career on one course can tell you each class is different. The basics are the same, but the experience varies, both for the instructor and their class. This means two employees could go through the same set of online lessons but still end up with divergent set-ups. Online onboarding ensures uniform training. New hire solutions bring before them the same material to read, the same videos to watch, and the same assessment tests to do. It’s the most effective way to have all new hires on the same playing field. This becomes even more crucial for franchises, and for positions with minimal supervision. With traditional new hire solutions, employees are usually passive observers. They may participate in role plays from time to time. However, for the most part, they’ll sit and listen to presentations or read manuals before taking the test. Employee onboarding software gives them the chance to apply their knowledge and skills to learn from their mistakes. They gain real-world experience even before they venture into the workplace. Simulations, branching scenarios, and video demos instill self-confidence and help them master new tasks and policies. You can even host live events to fulfill the face-to-face element and give them the opportunity to ask questions. For example, how to perform a task more efficiently or which online training resources can help them bridge a crucial skill gap. Onboarding new hires isn't up for debate; it’s an essential requirement for any work-place. The zone of disagreement comes in the ‘how’. Online or offline? Software-based training saves time and helps individual employees feel valued. This is especially crucial during their first weeks, when they’re still floundering. It helps them assimilate and feel like part of the team. You can use training software to identify their specialties, so you can assign them relevant work. It also makes a good impression that may urge their friends to apply for work at your organization. 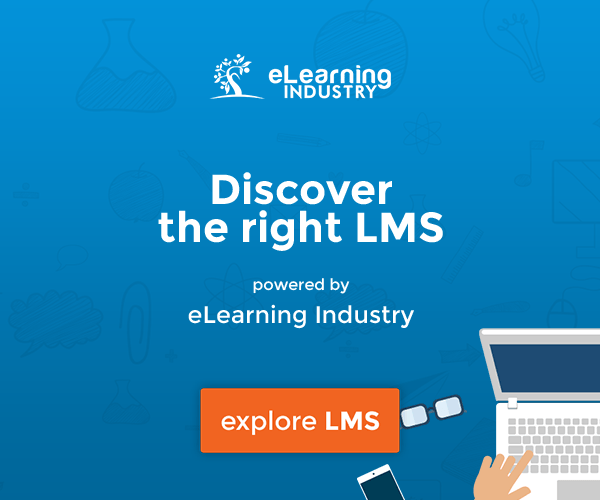 Finally, and most importantly, it ensures your new hires all receive a uniform training experience, both in content and context. How can you make sure that an onboarding software includes all the must-have features, needed for your in-house and remote employees? How can you use onboarding software to figure out which fresh recruits are going to advance up the corporate ladder? 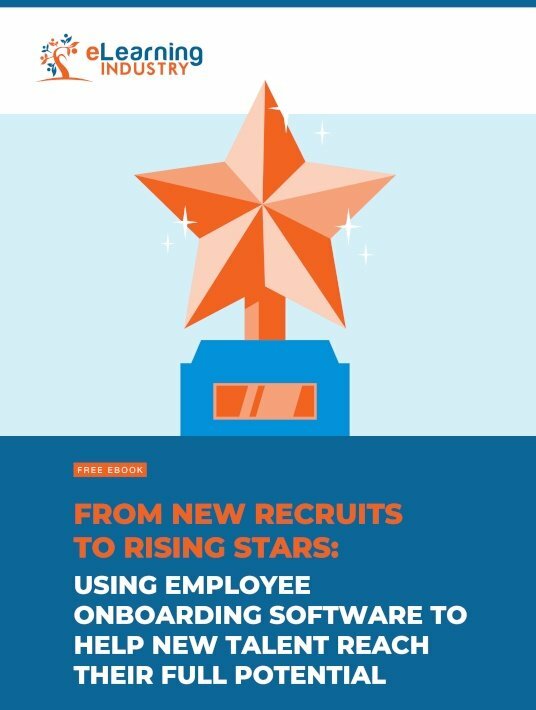 Download our free eBook From New Recruits To Rising Stars: Using Employee Onboarding Software To Help New Talent Reach Their Full Potential to learn how employee onboarding software can help you identify top talent and reduce L&D costs for your new hire solutions. We also dispel the most common myths about online employee onboarding, and share tips to train your multicultural workforce and those with special needs.